ACES 2018 will be hosted at the beautiful Crystal Gateway Marriott, located in Arlington, Virginia; only 9 minutes from the US Capitol and 5 minutes from Reagan Washington National Airport. 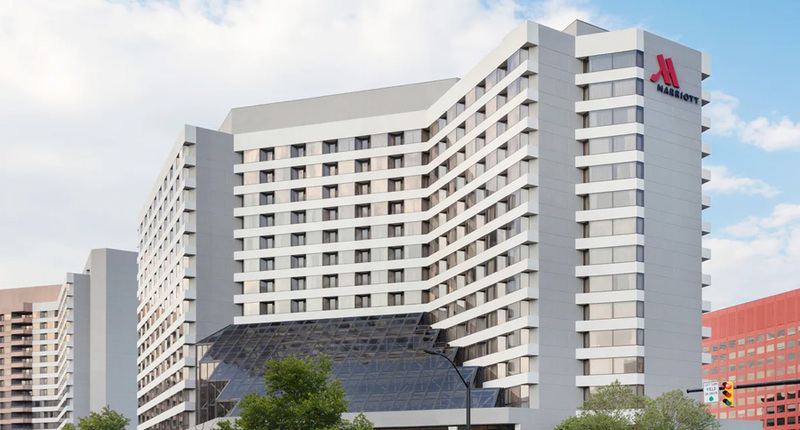 Situated across the street from the Crystal City Metro Station, and near numerous shops and restaurants, the Crystal Gateway Marriott offers convenience to Washington DC locals and travelers from around the globe. The Crystal Gateway Marriott is pleased to offer the prevailing Federal Per Diem rate, currently at $181 per night plus applicable taxes (currently 13.25%) for single and double occupancy in standard rooms. This discounted rate will be available three days prior to and three days following the conference dates and includes complimentary fitness center access. Reservations received after Friday, November 2nd will be accepted based on availability at the group rate. Since availability cannot be guaranteed, we encourage you to make your hotel reservation as soon as possible. The room rate is subject to change prior to the conference based on what the current federal per diem rate is. To make your reservation ONLINE: Access the conference booking website and click the red “Make a Reservation” button. To make your reservation BY PHONE: Call Reservations at 703-920-3230 and identify yourself as an ACES 2018 Conference participant to receive the group rate. All reservations must be guaranteed with a major credit card or accompanied by first night room deposit. Cancellation of individual reservations within 72 hours of arrival will be charged one night’s room & tax. Wireless Internet is complimentary in the lobby and public areas. Basic guest room Wi-Fi is complimentary for all Marriott Rewards members. If you are not already a member and would like to become one, click here. Otherwise, guest room internet may be purchased for $12.95 per day.